The area is home to 75% of the world’s known coral species and hosts a wide range of big pelagic fish as well as manta rays, dolphins, migrating whales and several shark species. *Rather watch than read? Skip to the video. Raja Ampat is kind of in the middle of no-where. It’s located off the northwest tip of Bird’s Head Peninsula on the island of New Guinea, in Indonesia’s West Papua province. Raja Ampat, or the Four Kings, is an archipelago comprising over 1,500 small islands, cays, and shoals. 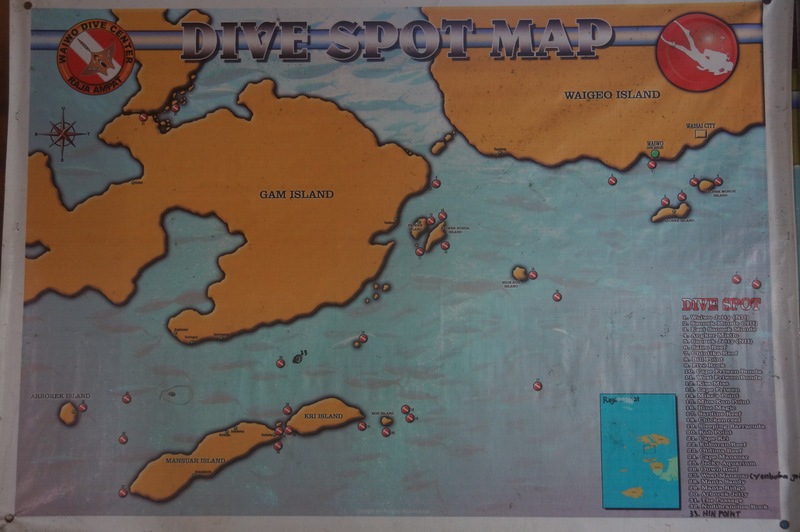 The four main islands are Misool, Salawati, Batanta, and Waigeo, where most of the diving is at. Lets start with the fun stuff: the diving. Raja Ampat is one of world’s top locations for diving. I did six dives during my stay and every single one made it to my top10 dives list. For reference, I had about 50 dives under my belt and I had dived in Thailand (including the Similan Islands), the Philippines, Miami, Cabo San Lucas, Costa Rica and Cabo San Lucas. The main underwater attraction in Raja Ampat is the Manta Ray. All three types of Manta Rays can be found here, the Oceanic Manta, the Black Manta and the Reef Manta, and I was fortunte to see all of them. Other highlights of my dives include one of the strangest looking sharks, the Wobbegong shark, the very rare Walking shark, plenty of Blacktip and Whitetip reef sharks, giant Groupers, schools of Barracudas and smaller creatures like the Pygmee Seahorse and the Orangutan crab. Trivia question: What’s type of animal is that walking in the tree at 0:08? Comment below if you know the answer! There are a ton of dive sites in Raja Ampat, and more are being discovered regurarly. Most of the dive sites are located around the islands of Kri and Mansur, in the central Raja Ampat area. See below for a map with all the dives sites listed. You can expect all dive sites to be of above average quality, but below are a few must-dives that you should’t miss. The shots in my dive video were all taking at these spots. This dive site is one of the few that exist in the world where you’re almost guaranteed to see Mantas. It’s a fairly shallow dive, the cleaning station is at about 12m. Excellent for beginners. You can find other type of sealife at this location too, but honestly when there are five Mantas circling around you, you’re not going to pay too much attention to them. The locals have set up a perimeter of rocks around the cleaning station to keep divers from getting too close to the Mantas. 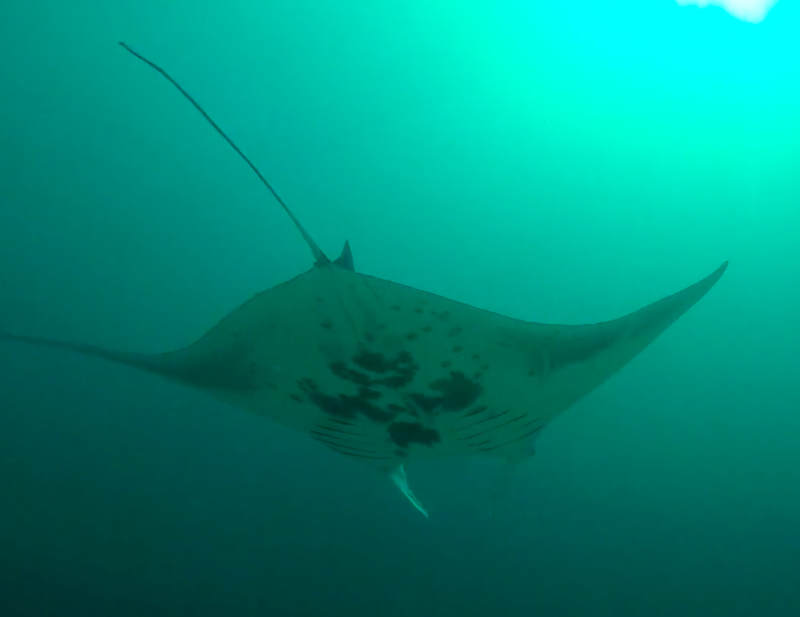 The Mantas don’t seem to mind the company though, as they swam right over us several times. 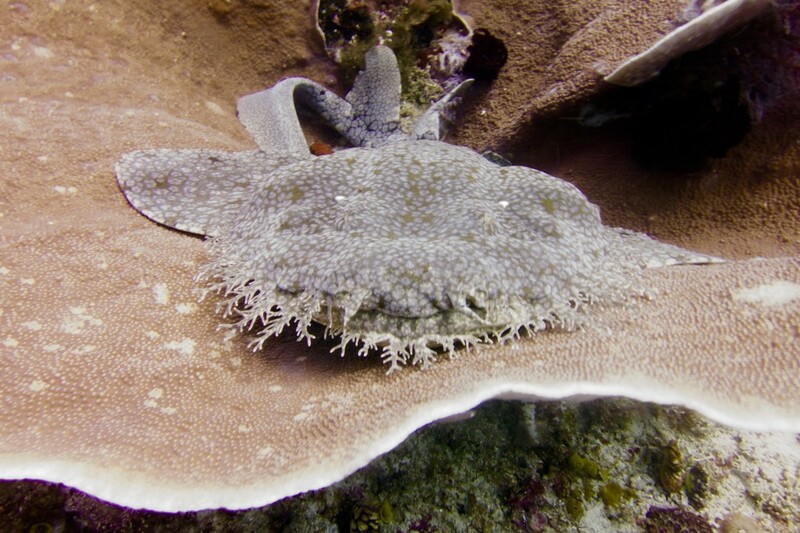 This dive site has the world record for most different types of species of fish spotted on one single dive. Dr Gerry Allen recorded a total number of 374 fish species on a single tank dive! There are so many fish, you just don’t know where to look. Barracudas, Jackfish, Groupers, huge schools of Big-eye Trevallies, Snappers, Banded Sweetlips as well as reef shark can be seen here in abundance. Can you guess what this creature is? Sardine Reef was our dive instructor’s favorite dive site, mostly because of the pretty corals. 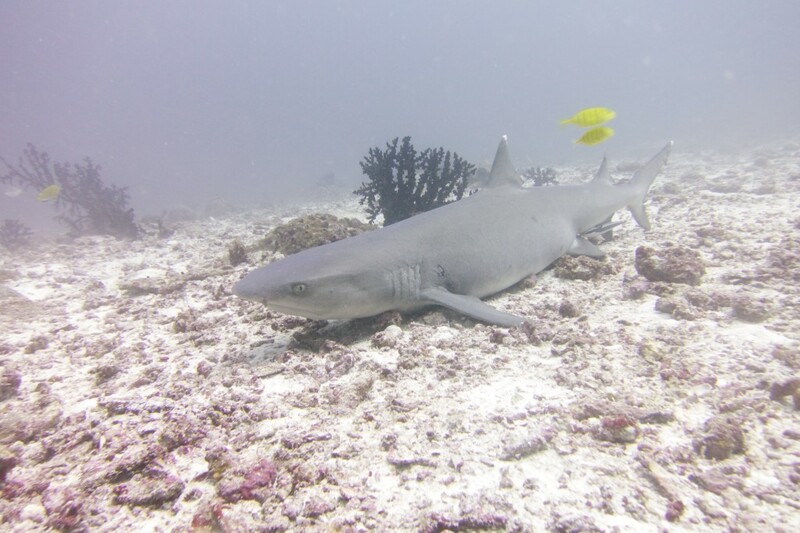 Highlights of the dive for me where the two Black-tip Reef Sharks, a giant Grouper, a few Blue-Spotted Stingrays and the Woebegone shark in the picture above. Towards the end of the dive, the current got stronger and took us to a shallow reef, about 5-10m deep. Pretty fun to let the current take you over the reef superman style. Blue magic is known as “little Barracuda point.” It hosts a large school of Barracudas, Jackfish and Sweetlips as well as Black and Whitetip Reef sharks. Last but not least, Oceanic Manta Rays are often seen passing by here as well. I saw one on my dive, the one at 2:35 in the video. This dive can be a bit challenging depending on how strong the current is. A word of caution here. A lot of the resorts and home-stays offer diving services. Not all of them are certified and operated professionally though and I’ve heard locals expressing their concerns about the safety of some operators. I recommend you check that the operator and the instructors are certified before you book any dives. If the dive shop is with PADI, you can either check on the website or call them. Keep in mind that Raja Ampat can be a challenging place to dive, with currents at many of the dive spots. I personally dove with Manta Dive Raja Ampat and had a great experience. The shop is located at Waiwo Dive Resort (where I stayed) and run by a guy named Rinto. Before I went diving I looked up his PADI instructor number, as I had read some bad reviews on Tripadvisor, but everything was fine. He had recently taken over the management of the dive shop after the old manager screwed up a few times. Rinto was actually one of the best instructors I’ve ever dived with so I felt a bit bad about my initial suspicion, but better safe than sorry. Diving in Raja Ampat is not cheap. One dive will typically set you back a minimum of around 650,000 Rupiah (US$45) per dive and equipment rental around 350,000 (US$25) per day. The more dives you do on one day, the cheaper it gets as you only have to pay for the equipment once. If the dive site is over an hour away by boat, there may also be a fuel surcharge. 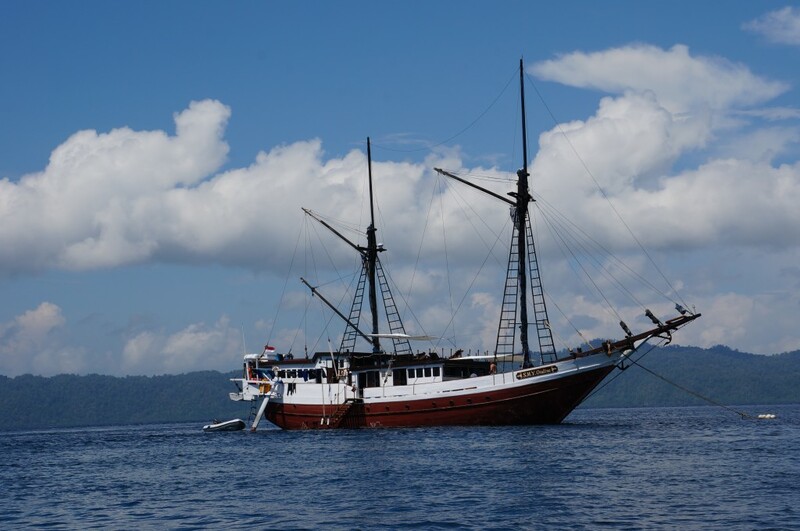 Another way to dive in Raja Ampat is to go on a live-aboard. 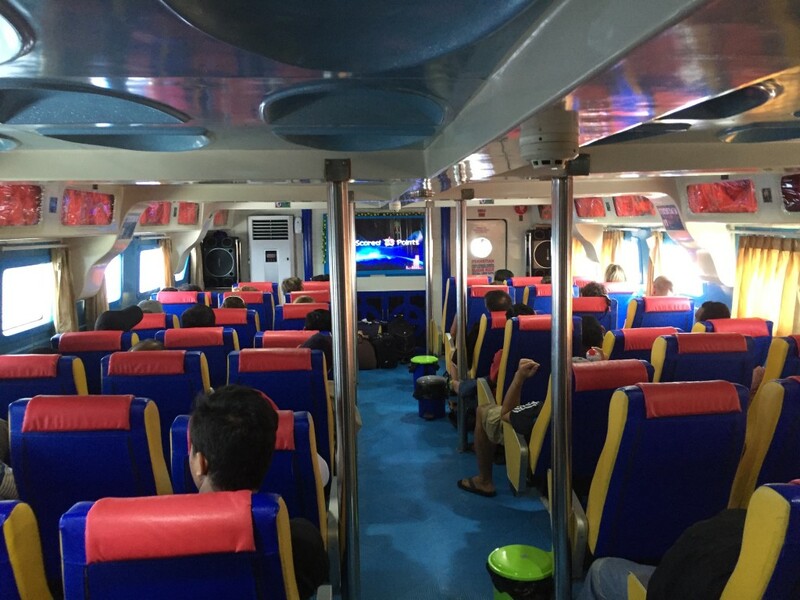 There are many live-aboards in Raja Ampat, but they aren’t cheap. 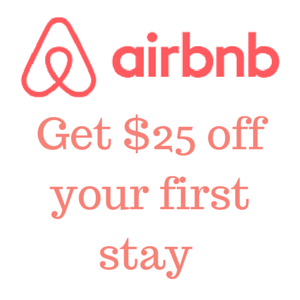 Typical rates vary between $300 – $400 USD per day. That does include food, non-alcoholic drinks and up to five dives a day, including equipment. 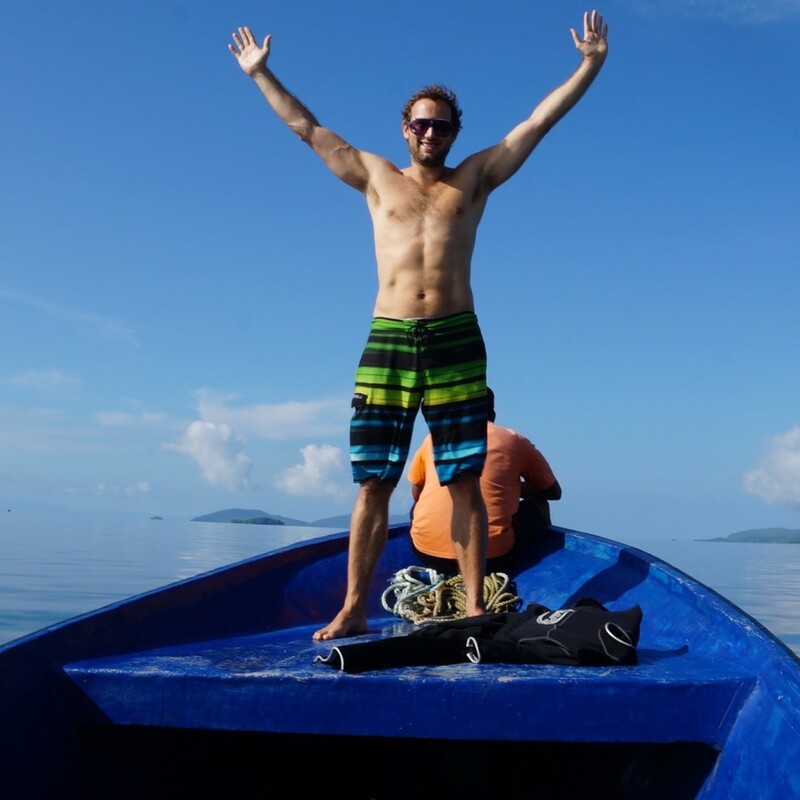 See here for more information on live-aboards in Raja Ampat. Other than diving, there is not a whole lot of other things to do in Raja Ampat. If I wasn’t a diver, I probably wouldn’t go through the hassle of getting there and spend the money for a visit honestly. There are two things worth doing though, a trip to Painemu and snorkeling. If you’ve ever Google-Imaged “Raja Ampat,” then you’ll recognize the picture below. 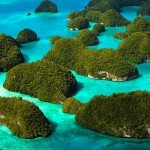 It shows the iconic limestone islands that Raja Ampat is known for. They are located around the island of Fam, or Groot Fam. There is a look-out where you can enjoy the view and take some selfies. Locally this place is known as Painemu, and it’s located on the western end of Raja Ampat, about 2.5 hours by boat from Wasai. 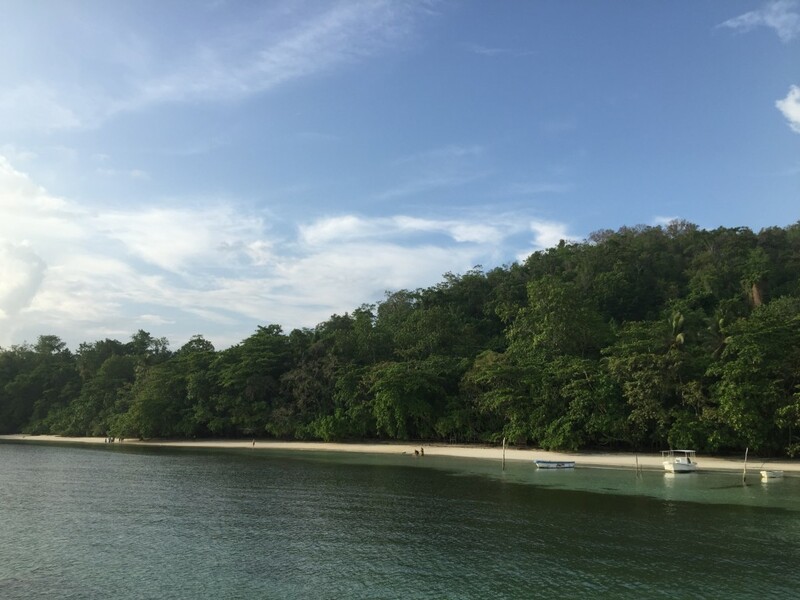 To go there you’ll need to rent a boat for the day, which will set you back around 5 to 7 million Rupiah. Quite expensive, unless you’re with a big group. I preferred to spend my money on diving, so I passed. The Raja Ampat islands offer great opportunities for snorkeling. 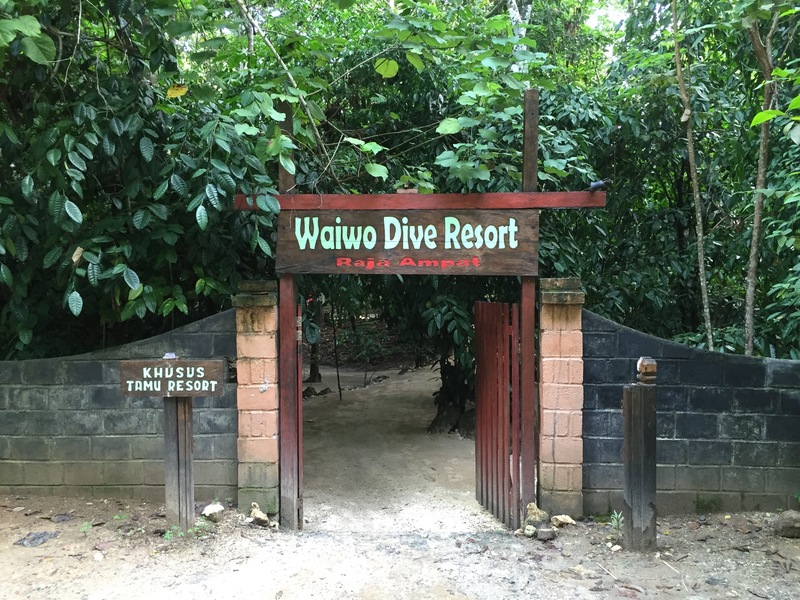 Most of the resorts have house reefs right in front of the beach, and so did Waiwo Dive Resort. Not a bad idea to bring your own snorkel and mask, as the resorts may charge you 150,000k for the use of their equipment. My dive shop let me use it for free though, as I spent a fair amount of money on diving with them. The village of Wasai is very small. It hosts a few hotels, a couple restaurants, a small supermarket and some smaller shops. The most interesting however is the food market, near the pier. You can get some fresh vegetables, fruits and fish there. TIP: if you get tired of the food that’s served in your resort, you can buy whatever you like to eat at the market and ask the chef to cook it for you. I’ve seen people having lobster for dinner, not bad! Alright if this post has convinced you to visit Raja Ampat, here’s the information you need to plan your visit. I found it hard to find good information when I visited, so I think this will be very helpful. 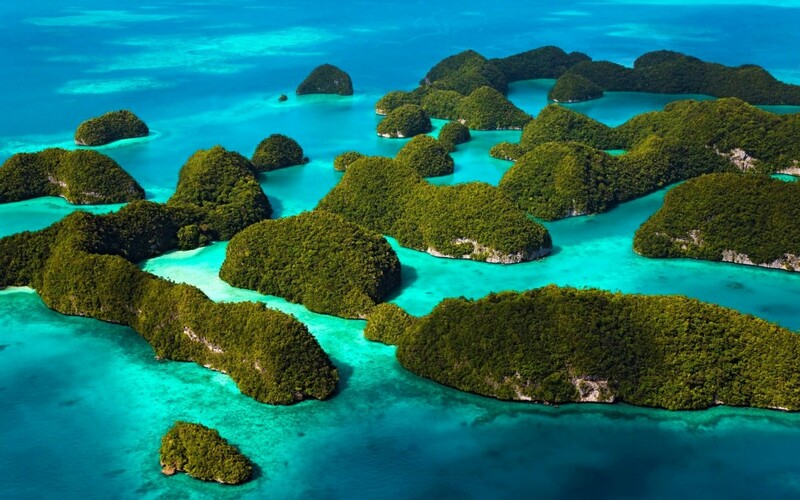 The Raja Ampat islands are located off the north-western coast of West-Papua. The nearest major airport is in Sorong. From there, you have to take ferry to Wasai, on the island of Waigeo. To reach the islands in Raja Ampat, you have to fly to Sorong first. Daily flights from Jakarta and Makassar are available. Before you book your flight, plan your transportation from Sorong to your destination first. 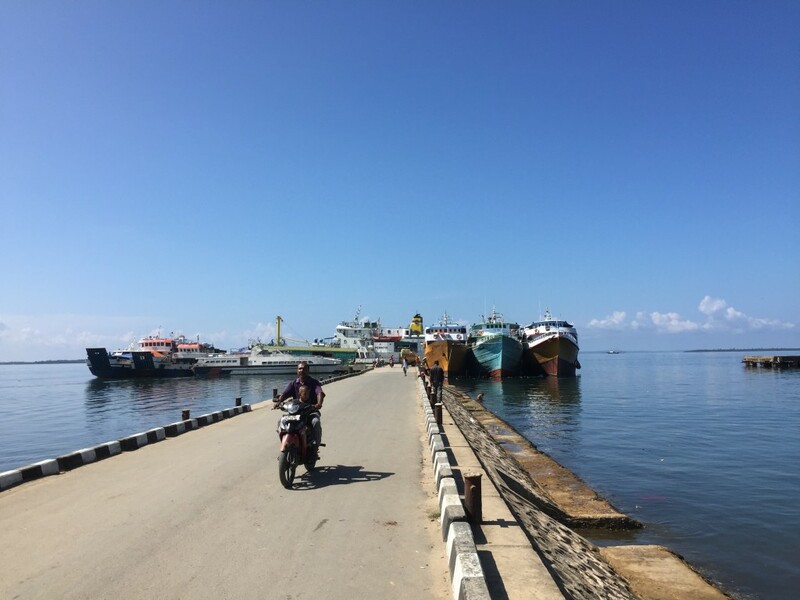 Check the ferry schedule so you can coordinate that you won’t have to wait too long in Sorong. Not all airlines that service Sorong are listed on the major flight search engines like Kayak and Skyscanner, I booked my flight through Tiket.com. All flights to Sorong from Jakarta are red-eye flights, leaving between 10pm and 1am and arriving early in the morning between 6am and 8am. It’s a four hour flight and Sorong is two hours ahead of Jakarta, so a direct flight leaving at midnight gets you in at 6am. Most flights have a stopover at Makassar airport though. The ferry to Wasai on Waigeo leaves daily at 2pm and also on Monday, Wednesday and Friday at 9am. Most flights arrive in the morning around 7/8am, just on time to catch the 9am ferry. If you arrive on Tuesday or Thursday, you’ll have to wait until 2pm. You can board the ferry much earlier though, they leave the AC on so at least you’ll be cool and the empty seats allow you to lie down and catch up on sleep if you weren’t able to sleep on the plane. The ferry to Waigeo takes about 1.5 to 3 hours, depending on the type of boat. Tickets are 110,000 (US$8) for normal seats and 220,000 (US$16) for VIP seats. I think the VIP seats are worth the extra eight bucks. TIP: If your flight is delayed and you won’t make it for the 9am ferry, call them and let them know you’ll be late. It’s not uncommon for the ferry to wait for passengers. 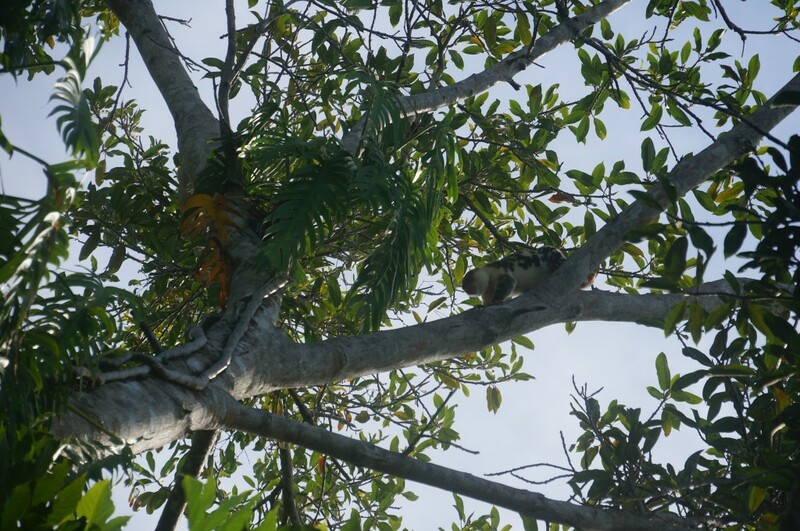 Waigeo is the only island in Raja Ampat that can be reached by airplane. There is a flight operated by Susi Air. You can’t book a ticket, it’s first come first serve. Tickets are 300,000 Rupiah (US$22) per passenger and luggage allowance is 10kg per person. Excess luggage fees are 20,000 (US$1.5) per kg. The flight goes almost every day, but you can’t know for sure when and even the times vary. I wanted to take it to fly back to Sorong but then they cancelled the flight because there were elections going on or something. You have to call the airport at +6285354426927 or +6285344802921 to double check. You can also contact Susi Air at +62265639851. Raja Ampat is a very undeveloped area with little infrastructure. Resorts typically consists of a few wooden structures hidden in the dense jungle vegetation that stretches all the way to the beach. Expect no WiFi, limited electricity and no swimming pools or restaurants. The resorts in Raja Ampat are spread out over all the different islands and pretty much all of them are located on the beach. Food is typically included in the price and consists mainly of chicken, rice and fish. 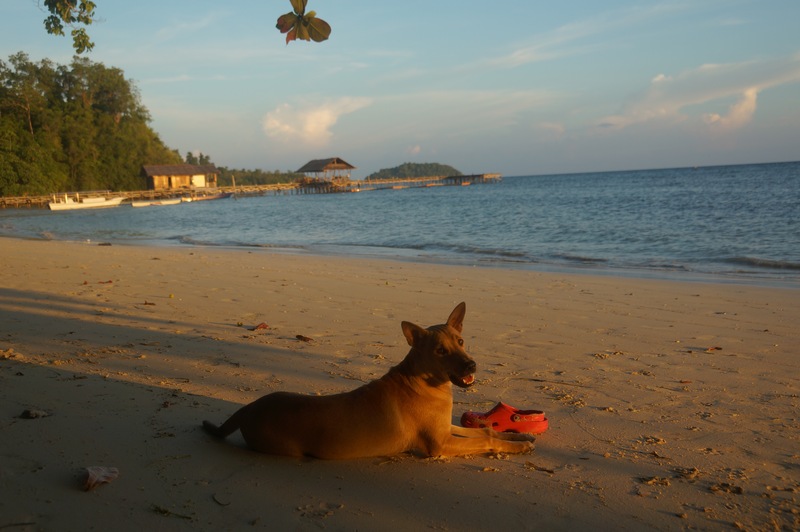 I opted to stay at Waiwo Dive Resort on Waigeo island, simply because it was the only mid-range option available. It’s one of the few places that have air conditioning, electricity and a private bathroom. 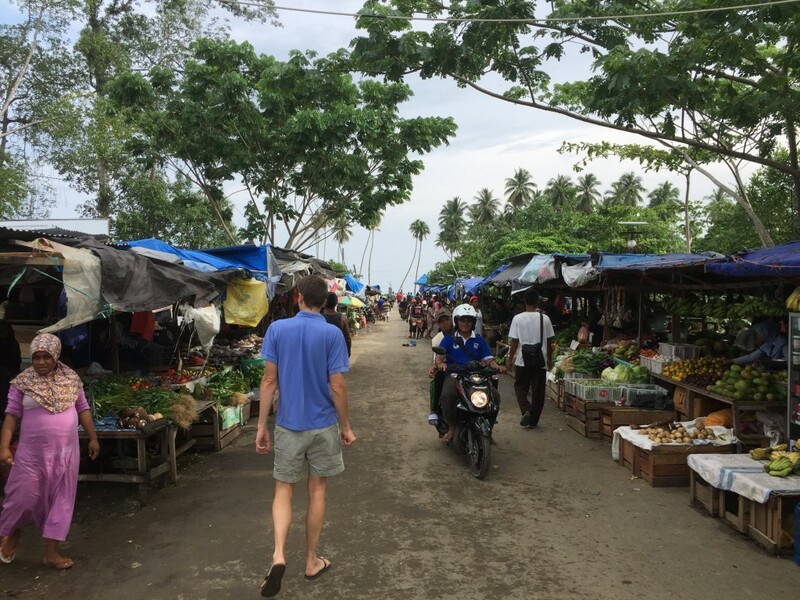 The resort is also very close to the ferry pier and Wasai village, the only place where you can get any supplies. At around $100 / night including breakfast, lunch and dinner and a private beach right in front of my room, it is definitely the best value for money I’ve seen. Besides, they have a really cool dog named Waiwo. I was a little concerned as the resort has mixed reviews on Tripadvisor, but fortunately I had a great experience. You can book online here. The only other options that you can book online are either very expensive or “homestays,” budget type accommodation with very little comfort. If you have upwards of $200 a night to spend, go for the Doberai Eco Resort or the Agusta Eco Resort. If you’re on a budget and want to spend US$50 a night or less, check out one of the many homestays in Raja Ampat. You have to bring a lot of cash if you visit Raja Ampat, as credit cards are not accepted anywhere. Other than Sorong, the only place where you can get cash is Waisai. There are two ATMs that accept foreign cards, Miniri bank and Beheri bank. Unless you’re staying on Waigeo island, you’ll have to get a boat to get there. Credit cards are not accepted anywhere, you have to pay with cash for everything. Plan accordingly and bring enough cash to pay for all your expenses, including hotel, marine park fee, transportation, diving and other activities. 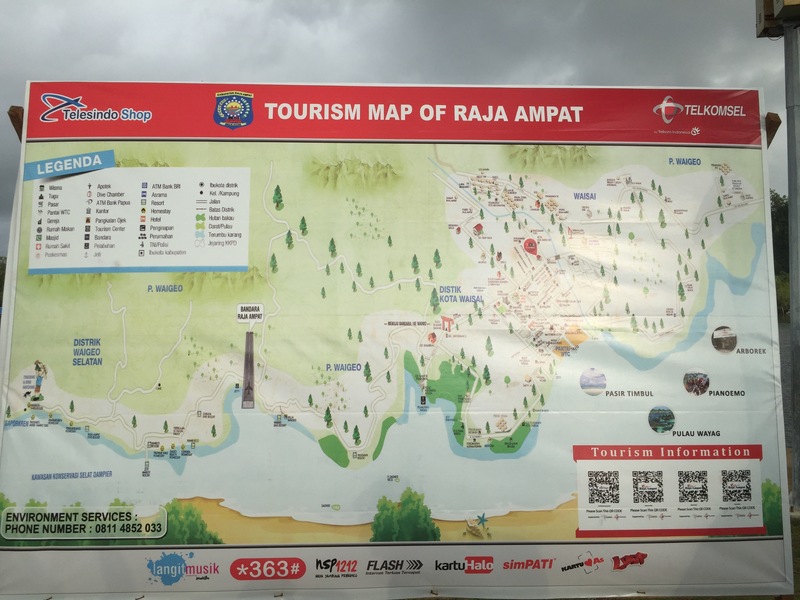 All visitors are obliged to pay a fee for staying in the Raja Ampat area. The fee is 500,000 for locals and 1,000,000 for foreigners. (USD 35/70). The fee is payable at a local office right next to the ferry pier. There will be a guy wearing a Hawaiian type shirt waiting at the pier to direct the visitors to the local office to pay the fee. I tried to escape him, but he kept following me around so I decided to be a good boy and pay the fee. However, I’m pretty sure a lot of visitors managed to avoid him. Insider tip: Another way to avoid the fee is to take the plane, as there is no-one at the airport to collect the fee. This makes the plane much cheaper than the boat and pretty much a no-brainer. You won’t find Wifi anywhere in Raja Ampat, it simply doesn’t exist. The 3G coverage is pretty good where I stayed. 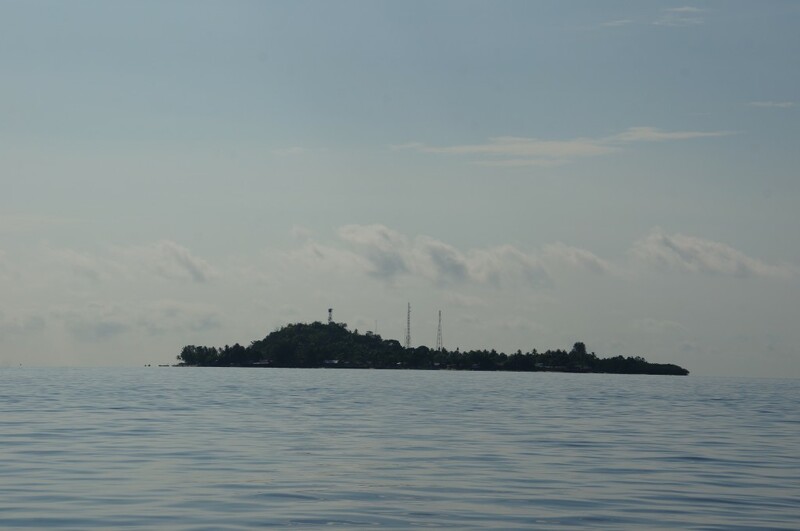 The reason is that right in front of the resort is a small island (Sonik) that has a telecommunications tower. Get a local simcard from Telkomsel (you can buy these in Wasai too) and for about 100,000 (US$8) you’ll get 3GB of data. It was fast enough to make Whatsapp calls with my friends in the US. However, as you get further away from the tower, the connection rapidly deteriorates. Raja Ampat is very safe, but medical facilities are limited. If you go diving, know that there is a decompression chamber in Wasai, but several sources on the internet state that’s not in operating condition. Best to be safe and stay well within your decompression limits when you go diving. As with any tropical destination, consult your doctor to see if you have all the recommended vaccinations. There’s conflicting information on the web about the existence of Malaria in the area. The locals told me they’ve never heard of Malaria cases and most travelers I’ve spoke to didn’t take pills. Some did though, as recommended by their doctors back home. I didn’t take them, but I did make an effort to keep mosquito bites to a minimum by wearing long pants and shirts and using mosquito repellent. I spent most of the time underwater or on a boat anyway, which is a pretty good way to prevent mosquito bites. Should you go? And when? If you’re a scuba diver, you should go. As soon as possible. Right now Raja Ampat is a heaven for divers, but the word is spreading fast. I’ve heard rumors of the tiny little airport in Waigeo being expanded, allowing bigger airplanes to land there. Once the masses start flocking to Raja Ampat, I’m not sure how long those Manta Rays will stay. I have a feeling they may just decide to move a few islands further down the ocean. In addition, tourism has a negative effect on the health of the coral reefs. Raja Ampat, I’ll be back! I’ve already made up my mind. I’m going back soon! If you want to see the Manta Rays, the best time to go is November to March. 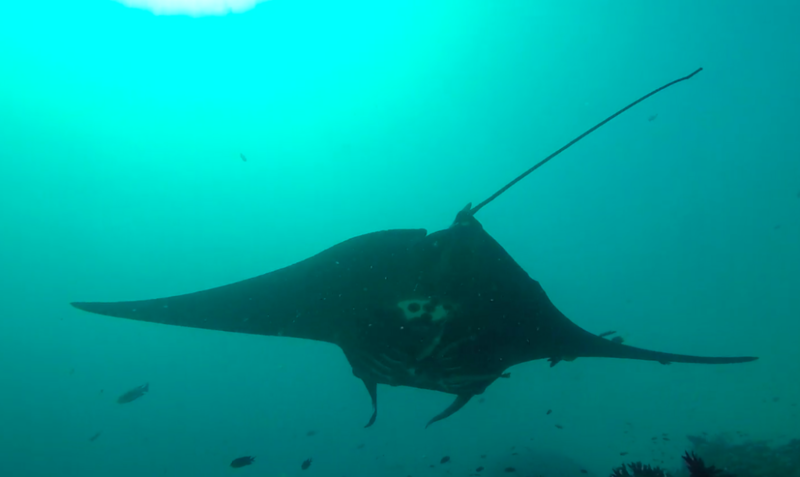 During the rest of the year the Mantas migrate elsewhere. Found this post useful? Please share and comment below if you have suggestions or questions. Thanks! You’re right, they’re good guys! I think the Tripadvisor review refers to the people who ran the shop before Rinto took over. I agree it’s an amazing place to dive. So I was disappointed that you provide a tip on how to avoid paying the marine park entrance fee. Maintaining Raja Ampat in its current state requires money and investment in local communities. Its double standards to hope that Raja Ampat doesn’t get damaged and yet try to evade the costs of maintaining it. Hey Caroline, thanks for your comment. I shared this because they aren’t consistent in charging the fee. Of all the people that arrived, only a few where picked out and charged the fee, which is not a fair way to do it. Either everyone should pay, or no-one. They could easily charge the fee on top of the ferry ticket, that way no-one can get around it. In addition, I’m a bit skeptical about where this money ends up. I didn’t see any efforts to clean up the waters and none of the locals I spoke to had seen any efforts or could tell me what the money is used for. It seems like no-one really knows where the money ends up. It could just be to fill up the wallets of the local chiefs. But I agree with you that they should invest in local communities and maintain the marine park. Hopefully they’ll implement a more efficient and fairer way to collect the fees and use the money for the that purpose. I love diving but I used to dive only twice in Greece. Have you ever been there? Not that far away but still very beautiful, in Europe 🙂 check out Lefkada, Zakinthos and other islands in this area. Thank you for writing in great detail. Your post is very helpful. Thanks Wani, glad you like the post! Great, that place is looking so beautiful and you recommend so good things to enjoy that beautiful place. so stunning photos you shared of that place.